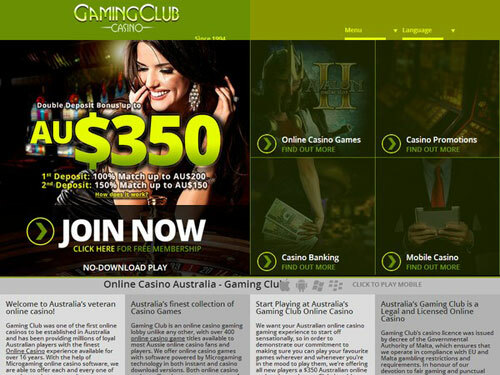 Gaming Club Casino - Enjoy 450+ Games and Earn Cash! 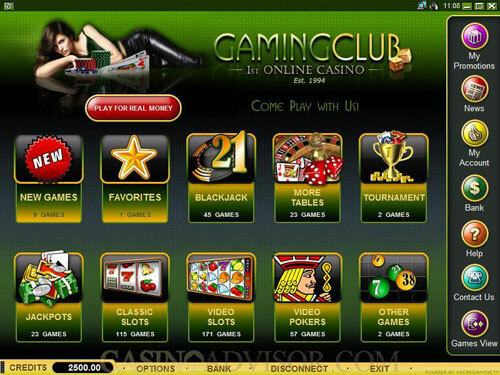 Gaming Club Casino has been online since 1994, making it one of the oldest online casinos still operating. They are licensed by the Lotteries and Gaming Authority of Malta. 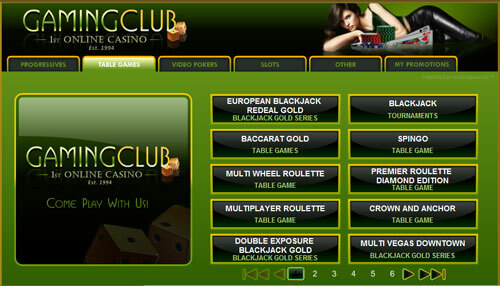 Gaming Club Casino uses Microgaming software, which is known around the world for its superb quality games. To ensure safe and secure gaming, the casino uses industry-standard 128-bit SSL encryption. As a testament to Gaming Club’s commitment to fair gaming and ethical business practices, eCOGRA has awarded them the coveted Safe & Fair certification. The payout rates average for all games was 96.69% according to the latest independent audit. Kiwi players at Gaming Club can receive very advantageous promotions. New players can get a match bonus of up to $NZ200 free on their first deposit and a match bonus of up to $NZ150 on the second one. The casino offers $NZ as a currency for players from New Zealand. Various payment methods are offered to players from New Zealand, including credit/debit cards, Skrill and Poli. Additionally, mobile players can use Neteller, Ukash and Entropay. Customer service is available 24 hours a day and can be reached by phone or live chat. Over 450 different games are available at Gaming Club, so chances are you will find one that you enjoy. Players have access to classic casino table games like blackjack, baccarat and roulette, hundreds of pokies, keno, video poker and more. Live dealer table games are available for those who want a more realistic gambling experience. Gaming Club has a mobile casino which can be accessed on BlackBerry, iOS and Android smartphones and tablets. The casino’s most popular games are their progressive pokies like Treasure Nile and Mega Moolah, as they have very large jackpot amounts.